Laurel Hill’s Tale from Tombs. We’re coming down the home stretch for 2016 Halloween activities. This weekend will be your last chance to check out most of them — although a few will still be open into the first week of November. The following is a look at many of these events. On Friday night, performers will entertain visitors with true tales from Laurel Hill Cemetery’s historic tombs. From the desecrated grave of a prestigious doctor to the woman who is buried in two places, “True Tales from the Tombs” will feature stories of the cemetery’s most provocative and memorable permanent residents, as they return from the dead to tell their stories. 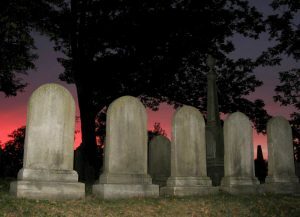 Featuring The Not Ready for After-Life Players as storytellers of these otherworldly tales, the candlelit tours will follow a path through the stones and mausoleums of Laurel Hill and end with hot cider and cookies. Participants are instructed to bring their own flashlights. Tours, which start at 7 p.m., will last approximately one hour and depart every half-hour, with the final tour departing at 9 p.m. The cost is $20 per person general admission. Tickets can be purchased at the door, by phone or online. Upon arrival, guests must register at Laurel Hill Cemetery’s Gatehouse entrance, 3822 Ridge Avenue, Philadelphia. Free parking is in the lot directly across the street from the Gatehouse. Laurel Hill will have another special event on October 30 – “Fall Family Day: Halloween Picnic and Parade” from 1-3 p.m. Visitors can spend an autumn afternoon exploring the many wonders and mysteries of Laurel Hill Cemetery while celebrating Halloween. The cemetery’s primary location overlooking the Schuylkill River will offer visitors majestic views of the colorful fall foliage and vibrant landscape along Kelly Drive. Activities will include arts and crafts, a pumpkin patch, Halloween goodies, and hula hoop games with Spinco. Attendees are advised to wear comfortable clothes and shoes, and children are encouraged to show off their Halloween costumes. This program is recommended for families with children ages 4-12. The cost is $5 general admission. 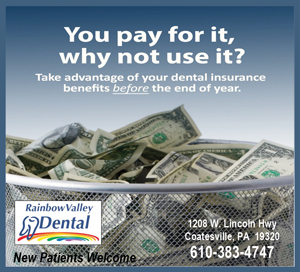 Tickets can be purchased at the door, or in advance by calling (215) 228-8200 or online. 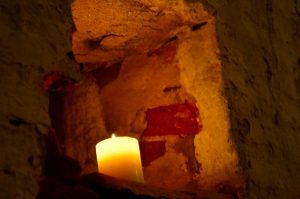 “Candlelight Ghost Tours” (Fort Mifflin, Fort Mifflin and Hog Island roads, Philadelphia, 215-685-4167, http://fortmifflin.us) are scheduled for October 28. Visitors can tour historic (and haunted) Fort Mifflin by candlelight from 7-10 p.m. each night and hear tales both historic and haunting on a candlelight tour of National Historic Landmark Fort Mifflin. Tours are generally appropriate for ages 8-and-older. Tours last about an hour and depart from the Hospital Building (adjacent to the Parking Lot) every 15-20 minutes beginning at 7 p.m. The last tour departs at 10 p.m. Admission is $20 for adults and $15 for students (12 and under). 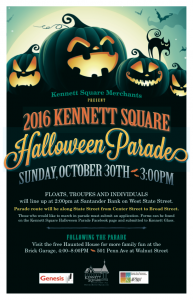 On October 30, the Kennett Square Merchants will present the annual Kennett Square Halloween Parade in the downtown area of the borough. The parade, which features floats, troupes and individuals, will move along State Street from Center Street to Broad Street. Starting time for the parade is 3 p.m. and it is expected to last approximately one hour and then the fun will continue a few blocks away. Following the parade, activity will shift to the annual Brick Garage Haunted House at 501 Penn Avenue where holiday activates will take place from 4-8 p.m.
“Pumpkinland” (Linvilla Orchards, 137 West Knowlton Road, Media, 610-876-7116, www.linvilla.com), which is open through November 6, features fairy tale characters from nursery rhymes along with a huge scarecrow and a very tall storybook. Other activities include train rides, a straw bale maze, hayrides, pick-your-own apples and pony rides. Another attraction is “Hayride to the Witch’s House.” Admission is free and hayrides are $9 per person. On October 30, Linvilla is featuring its annual “Costume Parade.” The event will be hosted by Makin’ Music and feature participants with fun and creative costumes. Each child receives a treat and great prizes are awarded to three winners from each age group. Activities begin at noon and include a dance party at 1:30 p.m., a visit from Spiderman at 2 p.m., the parade at 3 p.m. and live music by Makin’ Music at 3:30 p.m. The 52nd Annual Delaware County Halloween Parade (http://visitmediapa.com) will start at 2 p.m. on October 29 at the Media Elementary School’s Barrall Field (State and Edgmont streets, Media) and follow a route through downtown through Media. Parade participants will include clowns, community groups, classic and antique cars from the Pennsylvania Historical Car Club and the County Corvette Club, fire engines, high school marching bands and hundreds of walkers in their Halloween costumes. The parade will move from Barrall Field and proceed west on State Street, north on Orange Street and east on Front Street before returning to its starting point. Holiday activities in Media on Saturday will get underway with the “Halloween Extravaganza at the Media Community Center” from 11:30 a.m-1:30 p.m. The event will feature games, food, and goodie bags. Costumes are welcome and prizes will be awarded for best costumes. On October 30, the Foundation will host “Halloween in Odessa” – a fun holiday event geared for the entire family. Guests are invited to parade through the garden and bring a carved pumpkin for a pumpkin art contest. As an added attraction, the event, which runs from 2-4 p.m., will have age-appropriate crafts in the Wilson-Warner Stable. “Halloween in Odessa” is free and open to the public. The Garden State Discovery Museum (2040 Springdale Road, Cherry Hill, New Jersey, 856-424-1233, www.discoverymuseum.com) is holding its Third Annual Halloween Hootenanny on October 28 from 6:30-8:30 p.m.
On October 29, the Norristown Preservation Society will host its annual Haunted House at Selma Mansion (1301 West Airy Street., Norristown, 610-613-4024, http://www.norristownpreservationsociety.org) from 7-9 p.m. The mansion, which has been the site of paranormal investigations for years, will be decorated for Halloween and creatures of the night — ghosts, ghouls, zombies — will roam the halls. The night will feature lantern-lit guided tours and ghost stories. Tours will be continuous. Admission is $10 for adults, $5 for children aged 5-12, seniors, veterans — free for all active military and officers of the Norristown Police and Fire Departments. All children under 16 must be accompanied by an adult. All proceeds will go toward the restoration of Selma Mansion. On October 29, Rock Ford Plantation (881 Rockford Rd., Lancaster, 717-392-7223, www.rockfordplantation.org) will host the76th Annual Headless Horseman’s Ball at 6:30 p.m. Guests will joy a spirited evening inspired by Washington Irving’s classic tale, “The Legend of Sleepy Hollow.” There will be appearances by Ichabod Crane and other residents of the enchanted town of Sleepy Hollow during the party which is being held in the special event barn and tent. The ball features a catered buffet menu by Pierre DeRagon Personal Chef Services, dancing and DJ music by NovaMagic Entertainment. There will also be a silent auction of exquisite items and one-of-a-kind experiences. Costumes are optional and, even though the ball has a Sleepy Hollow theme, guests do not have to dress per this theme. Reservations may be made by calling 717-392-7223 between the hours of 10 a.m. and 4 p.m.
Tickets are $75 per person and includes complimentary bar. All proceeds from the Headless Horseman’s Ball will benefit Rock Ford Foundation, Inc., a not-for-profit organization. “The Legend of Sleepy Hollow” program, which will be presented from 3-4:30 p.m., is an interactive adaptation of the classic tale. At the all-ages event, guests will see Ichabod leading the audience in song, and dancing with his love and then follow him on his fateful journey home as he meets the Headless Horseman. Actor Neill Hartley will bring Ichabod to life and answer questions at the end of the performance. Guests are encouraged to bring a lawn chair or blanket to sit on. Admission is free but there is a suggested donation of $2 per person. The Colonial Pennsylvania Plantation (Ridley Creek State Park, Media, 610-566-1725, www.colonialplantation.org) is presenting two special events this weekend – “Halloween on the Farm — Puppet Show” on October 29 and “Farm, House and Animal Tour” on October 30. At the “Halloween on the Farm — Puppet Show,” which will run from 11 a.m.-4 p.m., visitors will be able to celebrate Halloween with the Segal Puppets as they explore the joys of the holiday. Guests are encouraged to wear costumes and visit four locations to receive a treat. The children and adults will also be able to see all our farm animals up close. Since 1974 the Colonial Pennsylvania Plantation has given visitors a glimpse of 18th- century Pennsylvania farm life through group programming, weekend activities and outreach opportunities. Attention to detail and authenticity are the hallmarks of Plantation programs from formal tours and hands-on workshops to the “living history” approach seen by weekend visitors. Visiting the Plantation is an educational experience that is unique and unforgettable. Because the Plantation is a working farm with authentically restored unheated buildings, it is open from April into early December. No pets are allowed. Admission is $8 for adults and children (ages 4-12) with children (under 4) admitted free. Penns Woods Winery (124 Beaver Valley Road, Chadds Ford, 610-459-0808, www.pennswoodswinery.com) is presenting a special event this year called “Painting in Pumpkinland.” It will be held October 29 and 30 from 11 a.m.-4 p.m. each day. Participants will be able to choose their pumpkins from the Penns Woods Pumpkin Patch and decorate them — Paint them, sticker them, glitter them and more. The cost is $15 -18 per pumpkin (depending on size). Price includes pumpkin and all decorating materials. Wine by the glass and bottle will be available for all adults over 21 and there will be live music and food trucks. Visitors can take family photos in the winery’s pumpkin patch with our historic barn in the background. There will also be other fun Halloween activities for children. Music will be performed by Sean McGraw on October 29 and Jason Ager on October 30. The event, which is scheduled to run from 4-8 p.m., will feature live music by FNL, tasty food provided by M&M Catering, craft beer, tastings of Paradocx wine and a bonfire. As an added attraction, the party, which has free admission, will have prizes for the top three costumes. “Hurricane Hill Farm Maze” (Baldwin’s Farm, 704 East Reeceville Road, Coatesville, 610-384-6952, www.hhfmaze.com) will be open Saturdays and Sundays until November 6. This event features miles of trails through a five-acre corn maze along with a corn slide, hayrides, a pumpkin patch and a farm animal display. Tickets are $13. 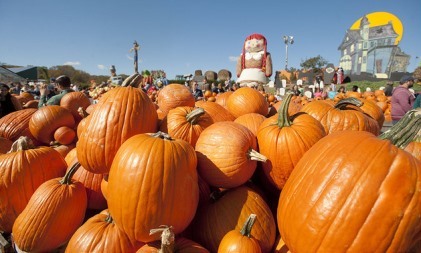 Corn mazes, hayrides, a pumpkin patch and scarecrows will be featured at Ramsey’s Farm (500 Ramset Road, Wilmington, Delaware, 302-477-1499, http://www.ramseysfarm.com) on weekends now through October 30. Another popular corn maze in the area is running now through November 5 at Cherry Crest Adventure Farm (150 Cherry Hill Road, Ronks, 717-687-6843, www.cherrycrestfarm.com). Featured attractions, which will continue until October 30, are “Abby Cadabby’s Magical Halloween Maze,” “Rubber Duckie Costume Party,” and “The Not-So-Spooky Hayride.” Admission to the park is $45. Tickets are $16 for “Pennhurst Asylum”, “Dungeon of Lost Souls” or “Tunnel Terror,” $21 for “Ghost Hunt” and $47 for a four-event combo. “Valley of Fear” (300 W. Bristol Road, Feasterville, 215-942-9787, www.valleyoffear.com), which is open through October 30, features four “heart pounding attractions” — “Haunted Hayride,” “UnderWorld,” “The Facility,” and “Operation Z Paintball.” Admission prices start at $19. “Halloween Haunt at Dorney Park” (3830 Dorney Park Road, Allentown, 610-395-3724, www.dorneypark.com) is running now through October 30. The “25th Annual Fright Fest” (Six Flags Great Adventure, Route 537, Jackson, NJ, 732-928-2000, www.sixflags.com), which is running now through October 30, features family-oriented activities during the day and much scarier attractions after dark for teens and adults. The “mature” attractions include “Asylum,” “Blood Shed,” “Voodoo Island,” “Total Darkness,” “Wasteland,” “Circus Psycho,” “Bone Butcher Terror-tory,” “The Manor,” “The Bloody Fountain” and “Skyscreamer of Doom.” Tickets start at $52.99. The 26th annual edition of “Haunted Hayride, Bates Motel and Haunted Corn Maze at Arasapha Farm” (1835 N. Middletown Rd., Gradyville, 610-459-0647, www.thebatesmotel.com) will be scaring visitors through October 31. The haunted hayride through the woods features monsters, special effects and actors. The Bates Motel has haunted rooms with special effects and computerized lighting. A haunted trail is cut through a cornfield inhabited by monsters. Admission prices are: Haunted Hayride, $20; Bates Motel, $15; Haunted Corn Maze, $15; combination tickets, $40. There are reduced rates for children. The “31st Annual Jason’s Woods” (99 Stehman Road, Lancaster, 717-872-5768, www.jasonswoods.com), which is running through November 5, is a horror show complex that features a combination of live actors, impressive animation and scary special effects. Popular attractions include “Horrifying Hayride,” “Chamber of Horrors,” “Zombie Apocalypse,” “Lost in Jason’s Woods,” “Carnival of Fear,” “Fields of Fright” and the “The Grand Jason’s Woods Theater.” Admission prices are for combo tickets are $25 for three attractions and $40 for five. “Terror Behind the Walls” (Eastern State Penitentiary, 2124 Fairmount Avenue, Philadelphia, 888-763-NITE, www.easternstate.org), which continues through November 5, takes place at a site Penitentiary that was once was an active prison and is now a National Historic Landmark. It is a scream-inducing event featuring laser and special-effect lighting, digital sound, sinister scents, animatronic creatures and 3-D illusions. Admission prices, which vary with the date, range from $19-$45. “Field of Screams” (Stone Battery Road, Lancaster, 717-285-7748, www.fieldofscreams.com), which is open now through November 12, features “Den of Darkness” (three-story horror house), “Frightmare Asylum” (walk-through haunted barn), “Extreme Blackout,” “Nocturnal Wasteland” and the “Haunted Hayride” (a 25-minute fright-filled ride featuring state-of-the-art special effects, pyrotechnics and animatronics). Admission is $36. For those who are not interested in Halloween events, there are several good alternatives on the weekend event calendar. The UniverSoul Circus (52nd Street and Parkside Avenue, Philadelphia, 800-345-7000, www.universoulcircus.com), which opens on November 3, will be treating circus fans to a whole new experience. The new circus’ performances, which will be held in the UniverSoul Big Top next to the Mann Music Center, blend traditional circus attractions with urban culture, hip hop tunes and world beat music. It’s the lively music that elevates the show to another level. The UniverSoul Circus is a world-class, live entertainment attraction that has captured the hearts and imaginations of a new generation of families. Celebrating its 20th Anniversary, UniverSoul Circus has presented more than 10,000 performances to live audiences, exceeding 19 million people, and has been seen in more than 60 million households on both local and national television networks. Celebrating more than two decades of shows under the big top, UniverSoul Circus features music, theatrical performances, incredible circus acts and loads of fun. You’ll see flashy Caribbean dancers from Trinidad, acrobats and high-flying trapeze artists from China, mind-boggling contortionists from Ethiopia, funny clowns from South Africa and Guinea, plus lions, zebras and much more. The roster of acts on this year’s tour includes the Wuhan Flying Trapeze, Trinity (gymnastics), the Navas Wheel, Black & White (zebra act), Globe of Death, Color Me Caribbean (dance), The African Dream (wire act) and Fresh the Clown. It’s all held together by Lucky the Ringmaster and Sidekick Jake. This weekend, the Greater Philadelphia Expo Center (100 Station Road, Oaks, 610-529-3614, www.phillyexpocenter.com) will host the Empowered Light Holistic Expo. The list of attractions at the expo includes inspirational lectures and workshops, meditations, massage, reiki, reflexology, healthy food samples, natural products for personal and home care, Yoga classes, social community, sound healing, dance classes, and hourly prizes. Some of the featured speakers this weekend will be Shaman Harold E. Smith, Crystal Kulpcavage, Christine Alexandria, Clifford Michaels, Dr. Sam Osmanigich, Robert Wood, Mauree Kai, Ula Pasternak and Sifu Terrann DeAngeles. Admission is $5 on Friday, $8 on Saturday or Sunday, and $20 for a three-day ticket. Ticket price includes speakers and classes. The 35th Annual Chrysanthemum Festival, which is running now through November 20 at Longwood Gardens (Route 1, Kennett Square, 610-388-1000, www.longwoodgardens.org), is an exhibit featuring more than 20,000 colorful, blooming chrysanthemums in Longwood’s huge conservatory. If you want to check out “Nightscape: A Light and Sound Experience” at Longwood Gardens, you have just two nights left to do it. The event, which has been running since August, will close on October 29. “Nightscape: A Light and Sound Experience” brings Longwood’s gardens to life after dark with colorful lights and moving images choreographed to music. This year, “Nightscape” takes place in various areas of the garden — Rose Arbor, Large Lake, Flower Garden Drive, Legacy Tree, Flower Garden Walk, Topiary Garden, East Conservatory and Silver Garden. Tickets, which include all-day admission, are $27 adults (ages 19 and older) and $17 students (ages 5-18). Regular admission to Longwood Gardens is $20 for adults, $17 for seniors (62+) and $10 for students (ages 5-18). The Wilmington & Western Railroad (2201 Newport Gap Pike, Wilmington, DE, 302-998-1930, www.wwrr.com) is running its “Autumn Leaf Special” with trains on October 29 and November 5 and 6. Trips are either a one-and-one-half hour roundtrips to the Mt. Cuba Picnic Grove or two-and-one-half hour roundtrips to Hockessin. The W&WRR also is running its “Hayride Express” on October 28 and November 11 at 7 p.m. Visitors can experience a one-hour evening ride through the Red Clay Valley on an original railroad flatcar converted especially for hayrides. The New Hope & Ivyland Railroad (32 West Bridge St, New Hope, 215- 862-2332, www.newhoperailroad.com) offers a two-and-one-half hour, 35-mile roundtrip ride on its “Fall Foliage Trains” from October 15-November 5.